BLUEBELL WALK: this Saturday (May 5) starts at 10.30am. 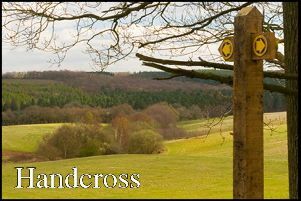 Meet members of the Footpath Society at Cowfold Car Park (Map Ref: 214 225) for this 4.5 mile walk to Maplehurst and back. There will be several stiles and the route is likely to be muddy if wet. Sticks are advised. For more details call Yvonne Ray on 01444 243629. NEWICK & DISTRICT NADFAS: meet at the village hall on Tuesday May 8, at 2.15pm, and the subject will be ‘Macdonald Gill, Architect, Artist, Mapmaker and Letterer’ and the lecturer Caroline Walker. This lecture will shine a light on Eric Gill’s younger brother ‘Max’, one of the greatest map-makers of the 20th century. He was born in Brighton in 1884 into a family of 13 children. He and Eric studied architecture in London and for a time they worked together on various commissions before going their separate ways. In 1914 Max created ‘the Wonderground Map of London Town’ a marvellously inventive bird’s eye view of the city, designed to entertain passengers whilst they were waiting for their trains, rather than to give exact directional information. Caroline Walker is the great-niece of MacDonald and Eric Gill and is by profession an English teacher. She started researching MacDonald Gill in 2006, co-curated the 2011 University of Brighton exhibition Out of the Shadows: MacDonald Gill, and is currently writing her great-uncle’s biography. The lecture will be accompanied by a superb digital presentation with tea and biscuits after and a chance to talk to the lecturer. Cost is £7 on the door for non-members. For additional information please contact the membership Secretary Ann McNorvell on 01825 721458 or newickdfas2017@gmail.com. WOMEN’S INSTITUTE: meet, at the village hall, on Wednesday May 9 at 7.30pm. New members are always welcome. For more details about the group call Val Thompsett on 01273 891256. OPEN DAY & SPRING FAIR: in association with the Sussex Federation of Young Farmers, is at Plumpton College on Saturday May 12 from 10am to 5pm. All are welcome to attend when the College campus will be open to see all departments, great main arena attractions, demonstrations, local food and wine tasting as well as a Craft & Trade Fair, Courses & Careers Advice, Children’s Activities, Farm Displays and Outdoor Activities. Entry for adults is £7.50 and under 16’s free. For tickets visit https://www.plumpton.ac.uk/. LADIES DAY: at Plumpton Racecourse takes place on Sunday May 13. Gates open at midday and advanced tickets, for £10, will be available until midnight of the May 12 at http://plumptonracecourse.co.uk/. Entry for accompanied under 18’s is free. Details of the Best Dressed Competition (timings, judges and prizes) will be in the complimentary race card on the day. There will be a funfair in the picnic enclosure, live music, tipster talks and much more. The South East Pony Racing Finals follow the last race and are great to watch. FLOWER CLUB: meet, at the village hall, on Wednesday May 16 at 7.30pm. Visitors are most welcome at a cost of £3 at the door. There is always a raffle giving a chance to win one of the demonstrators’ arrangements. For more details call Gill Wells on 01273 890561. FOOTPATH SOCIETY WALK: 4.5 miles, on Sunday May 20 starts at 10.30am. Meet at public car park bedside Onslow Arms, Loxwood (B2133, Map Ref: 042 311). Possible lunch at the Onslow Arms. For more details call Sue and Robin Akers on 01273 891701 or 07775423361. GARDENS ARE SOUGHT: in the centre of the village (north of the railway and south of South Road) for the Open Gardens event, to raise funds for St Peter & St James Hospice, on Sunday June 24. Whether your garden is large, small, formal or the rambling variety it is sure to be of interest to others so please do consider including it in the village trail. If you would like more information before deciding whether to include your garden in this event do call Gill Gamble on O1273891218 or Terry Thompsett on 01273 891256. ‘PLUMPTON ROMAN VILLA :Giving Up Its Secrets’ is the title of a talk by David Rudling at the Stoneywish Visitor Centre, Spatham Lane, Ditchling, on Friday June 29. This will be the chance to learn the latest news of excavations at the Romano-British villa. The footings alone give a fascinating insight into the settlement and the lives of the people who made it their home. Entry costs £7.50 and includes an accompanying exhibition, coffee and a slice of cake. For more details visit www.stoneywish.com. SPRING SHOW: the Horticultural Society’s recent show enabled visitors to see some beautiful spring flowers and colourful arrangements. Awards were made as follows the Balchin Family Trophy for most points in the children’s classes Amelie and Lydia Pilfold, the Beard & Cottingham Trophy for Best Flower Arranging and Dora Watson Trophy for best exhibit in the amateur classes Diane Ellis, the Winifred Awbery Trophy for most points in the amateur classes Sue Parmenter, the Mary Beard Trophy for Best in Cookery and the Lucie Bracher Trophy for most points in the cookery classes Margaret Westgate, the Daffodil Society Bronze Medal for best bloom, the Powell Edwards Salver for best exhibit in open classes and the Elves Family Trophy Best pot of Daffodils Ken Beard. If you would like to know more about the Society and maybe enter their Summer Show do call Gill Stewart-Brown on 01273 89005 for a Show Schedule.